Contact Mercedes-Benz of Scottsdale today for information on dozens of vehicles like this 2019 Mercedes-Benz E-Class E 450 4MATIC Wagon. This Mercedes-Benz includes: ARRAY(0x151341b8) Keyless Start HD Radio Split Bench Seat Hands-Free Liftgate Heated Front Seat(s) Satellite Radio Power Door Locks Keyless Entry Fixed Bench Seat Blind Spot Monitor Premium Sound System Remote Trunk Release Bucket Seats BLIND SPOT ASSIST Blind Spot Monitor MACCHIATO BEIGE/BLACK, MB-TEX UPHOLSTERY Vinyl Seats Cloth Seats Leather Seats Premium Synthetic Seats ARRAY(0x15133a20) Automatic Parking Back-Up Camera ARRAY(0x1517bb48) Chrome Wheels Aluminum Wheels 4-Wheel Disc Brakes Steel Wheels Front Disc/Rear Drum Brakes Active Suspension POLAR WHITE HEATED FRONT SEATS Split Bench Seat Heated Front Seat(s) Fixed Bench Seat Bucket Seats *Note - For third party subscriptions or services, please contact the dealer for more information. * Today's luxury vehicle is not just about opulence. It's about a perfect balance of performance, comfort and attention to detail. 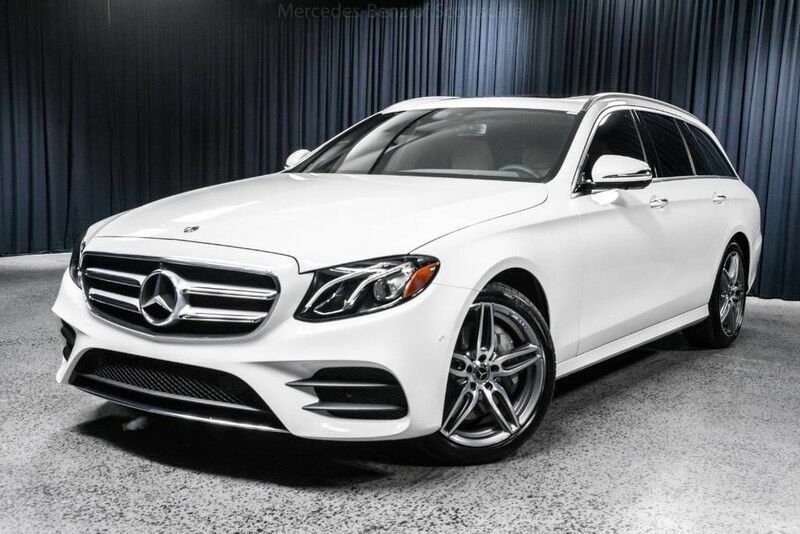 This 2019 Mercedes-Benz E-Class is the perfect example of the modern luxury. Few vehicles can match the safety and comfort of this AWD Mercedes-Benz E-Class E 450 4MATIC Wagon. With enhanced performance, refined interior and exceptional fuel efficiency, this AWD Mercedes-Benz is in a class of its own. Marked by excellent quality and features with unmistakable refined leather interior that added value and class to the Mercedes-Benz E-Class This is the one. Just what you've been looking for. Just what you've been looking for. With quality in mind, this vehicle is the perfect addition to take home. This is about the time when you're saying it is too good to be true, and let us be the one's to tell you, it is absolutely true. You could keep looking, but why? You've found the perfect vehicle right here.